When it comes to grown man style, Inserch always seems to give you options that you want to be seen wearing. Inserch is a leader in grown man style fashion menswear that grown men who appreciate style want to wear. 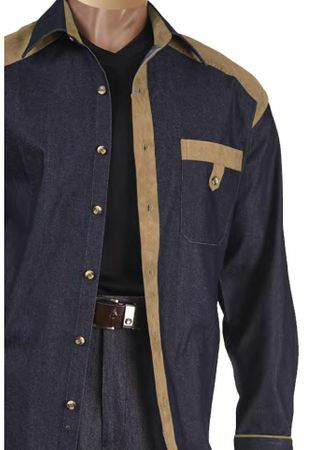 Features a beige suede trim pocket style with suede elbow patches and pleated pants made of cotton denim.